RNIB and Specsavers urge over 65s this World Sight Day to get their eyes tested. Over a third of over 65s are unnecessarily risking their sight by ignoring symptoms like black spots in their vision, new research has revealed. The study commissioned by RNIB and Specsavers showed that those over the age of 65 are failing to seek professional advice from a doctor or optician despite experiencing symptoms including not seeing as well close up (15 per cent), not seeing things in the distance as well (11 per cent), dry or gritty eyes (11 per cent), black spots (11 per cent) and discomfort in bright lights (11 per cent). On the back of the research RNIB, the UK’s leading sight loss charity, and Specsavers have launched an awareness campaign to transform the nation’s eye health. They are warning everyone to seek immediate advice from their optician if they start to experience problems with their eyes, so that potential sight conditions can be detected, diagnosed and treated before it’s too late. Almost four in five people who are living with sight loss in the UK are aged 65 and over, and it is believed that around half of these cases could have been prevented. Some of the most common causes of sight loss in the UK, such as glaucoma, cataracts and wet age-related macular degeneration, can be treated, but early detection and diagnosis is crucial. It’s not just serious permanent eye conditions which are causing sight loss in the UK. 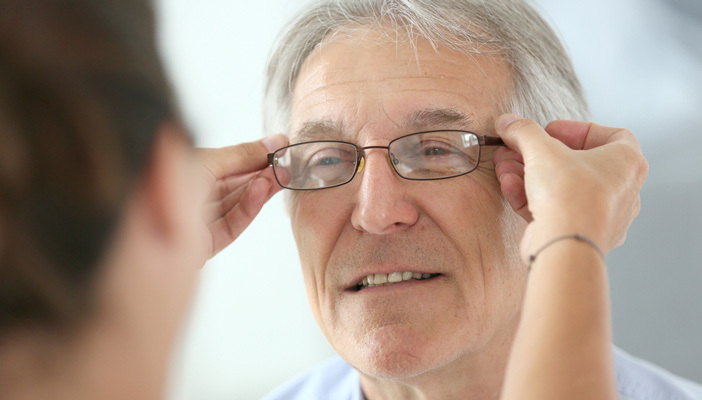 Refractive error accounts for around 39 per cent of those living with sight loss in the UK, meaning that thousands of people would notice a vast improvement simply by wearing properly prescribed glasses or contact lenses. The poll of more than 10,000 adults also revealed that more than a quarter (27 per cent) had not had an eye test within the last two years. There are more than 2 million people in the UK living with sight loss and this is expected to increase by a third to 2.7 million by 2030. Specsavers co-founder Dame Mary Perkins, an optometrist of more than 50 years, said: ‘It’s astonishing that so many people are needlessly living with or at risk of sight loss in the UK today. Nearly half of all sight loss cases are preventable – and a simple eye test can be the first step in prevention.